Irish and European Union food law requires all food business wholesalers/distributors to be able to trace the food they receive back to the immediate supplier of that food. Then, following food handling, be able to trace the distribution of food, forward from their own business to their immediate customer. At Corrib Food Products (CFP), we have developed and documented an effective food traceability system, whereby we can track and trace our food through the food chain and have integrated it into our Food Safety Management System. To identify uniquely a batch of food in a way which allows tracking the physical flow of the food forwards to the immediate customer and tracing the physical flow of food backwards to the immediate supplier. To create and maintain accurate traceability records. Scope of the Traceability System: CFP as a wholesaler/distributor of foodproducts have defined the scope of the Food Traceability System as Supplier and Customer Traceability. Supplier Traceability involves the traceability of the suppliers food and packaging to us, and Customer Traceability involves tracking the food leaving CFP to the immediate customer. Optimal batch size: Created by our food suppliers. Details of haulier (if applicable). Any food deliveries that are broken down when transferred to their appropriate bin locations during storage are handled in a manner that ensures that the batch codes remain with them at all times. At CFP it is very important to us to trace Non-Conforming Product as part of our overall Traceability System by including returns or food that is disposed. We have a Customer Complaints Log which details records such as: nature of returned food, name and address of customer returning the food, date of return, reason for return, quantities and batch details, and supplier details. Traceability Records are held on file in keeping with the time period as specified by food law and are available upon demand. The Traceability System is reviewed at least annually to ensure that it is delivering the required level of traceability and can produce accurate traceability records. A reverse Traceability Audit is carried out at least annually which involves verifying the documentation chain from point of despatch back to source. 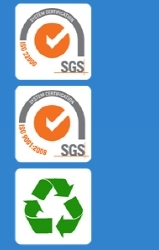 The Traceability System is documented and includes details of the elements listed above.